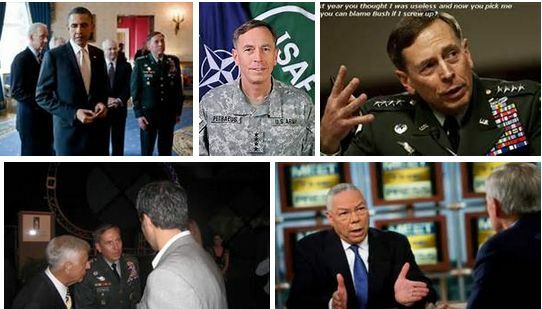 US Military coup d’état Against Obama – Colin Powell and General David Petraeus implicated! Please note: TheBlaze.com claims to have debunked this story. According to this report, millions of data files on counter-terrorism operations from both MI6 and the CIA were stolen this past December (2012) by a senior computer technician of Swiss citizenship who planned to release them to Wikileaks.The Main Intelligence Directorate (GRU) is reporting today that Switzerland’s Federal Intelligence Service (NDB) is proposing that the Swiss Federal Department of Foreign Affairs (EDA) issue an immediate “Situation: Grave, Do Not Travel” warning for the United States upgrading that North American nation from its current status as “Stable” and on par with a similar warning issued for the war torn Middle Eastern country of Syria. Raising the fears of the NDB, however, this report says, were US National Security Agency/Central Security Service (NSA/CSS) documents obtained fromEdward Snowden by the GRU which show a “conclusive and provable link” between the man now known as the United States most wanted person, the still unnamed NDB spy, MI6 spy Houghton and US Army Private Bradley Manning, all of whom constitute what Swiss intelligence analysts say are the“iceberg tip” behind the largest theft of Western top-secret documents in modern history. The shock announcement yesterday that the US would be closing these embassies, this GRU report says the NDB has discovered, is due to the Obama regimes fears that more computer thefts of top-secret documents relating to the Obama regimes collusion with extreme Islamic terrorists groups are going to be released and will allow them time to purge all of their embassy servers of incriminating information, especially those files relating to the true events of the2012 Benghazi Attack led by rogue CIA operatives whom US Congressman Trey Gowdy warned yesterday were being kept from testifying, being relocated and given new identities. Unbeknownst to the American people about the Obama regime, this report says, has been its tens of millions of dollars in funding of al-Qaeda terrorists tocreate an Islamic Emirate in Syria and its over $8 billion in secret funding to Egypt’s Muslim Brotherhood radicals, both forces who are currently being defeated on the battlefield and in the streets. This letter is eloquent and explains the essence of Mr. Snowden’s plight. I applaud Mr. Snowden and thank the Lord that someone in the last 5 years has risked it all just like a soldier does when going off to war. He did this for our country and its people and hopefully it will be about the justice that was his only motive to restore our government to a republic with all constitutional rights being followed at all levels of the law. Snowden should be treated as a whitsleblower only.